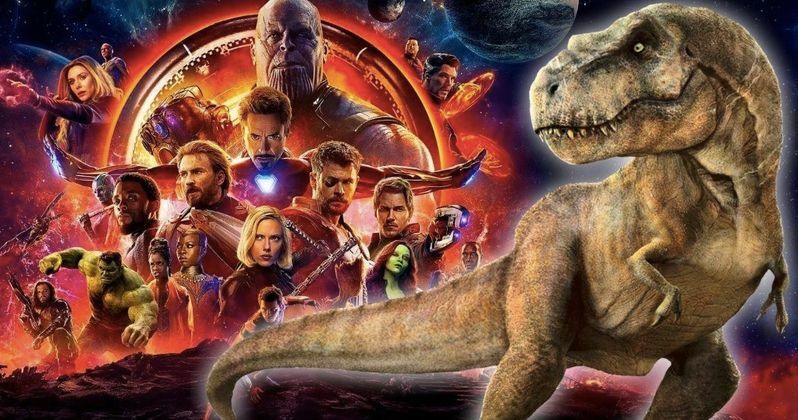 Marvel's blockbuster Infinity War has reached yet another box office milestone, passing the 2015 blockbuster Jurassic World to become the fourth highest-grossing movie of all time, worldwide. The Marvel Phase 3 superhero blockbuster's global take is now at $1.686 billion, passing the $1.671 billion earned by Jurassic World in 2015. The top three movies of all time have all passed the $2 billion plateau, and it seems possible Avengers: Infinity War might be able to do so as well, but whether or not it can keep moving up the charts remains to be seen. As of now, Avengers: Infinity War has taken in $562.9 million domestic and $1.123 million internationally for a global total of $1.686 billion. The $562.9 million domestic tally, after just 20 days in theaters, currently stands as the eighth highest of all time, and it is currently well ahead of the pace set by Black Panther, which took in $516.6 million by its 20th day, so it wouldn't be surprising if it will ultimately pass Black Panther, which currently has the third-highest domestic total ever with $696.8 million. Avengers: Infinity War has earned roughly a half billion more than Black Panther at the international box office, and it could be just a matter of time before it passed $2 billion. Avengers: Infinity War broke the all-time opening weekend record with a whopping $257.6 million, surpassing the $247.9 million record set by Star Wars: The Force Awakens in December 2015. It also broke Star Wars: The Force Awakens' record for the fastest movie to reach $1 billion, hitting that plateau in 11 days, a day faster than The Force Awakens' 12 days. However, barring some impressive longevity, which seems unlikely given that the crowded summer movie season is upon us, Avengers Infinity War will likely not come close to Star Wars: The Force Awakens' all-time domestic record of $936.6 million. While it may likely pass Black Panther and perhaps even reach $700 million, it likely won't pass the second highest grossing movie ever, Avatar ($760.5 million). Internationally, China leads the way with a whopping $240.3 million, $200 million of which came during its Middle Kingdom debut last weekend, followed by South Korea ($86.2 million), the U.K. ($84.5 million), Brazil ($57.5 million) and Mexico ($56 million). China was the final international market for Avengers: Infinity War to open in, so the foreign tally may start levelling off soon, but if Avengers: Infinity War can pull off a strong second weekend in China, it will improve its chances of hitting that coveted $2 billion mark worldwide. The top three movies that Infinity War is now chasing worldwide are Star Wars: The Force Awakens ($2.068 billion), Titanic ($2.187 billion) and Avatar ($2.788 billion). Avatar is also the only movie in history to have earned more than $2 billion from foreign territories alone, which is most certainly a hard act to follow. Variety broke the news on Avengers: Infinity War's box office prowess.